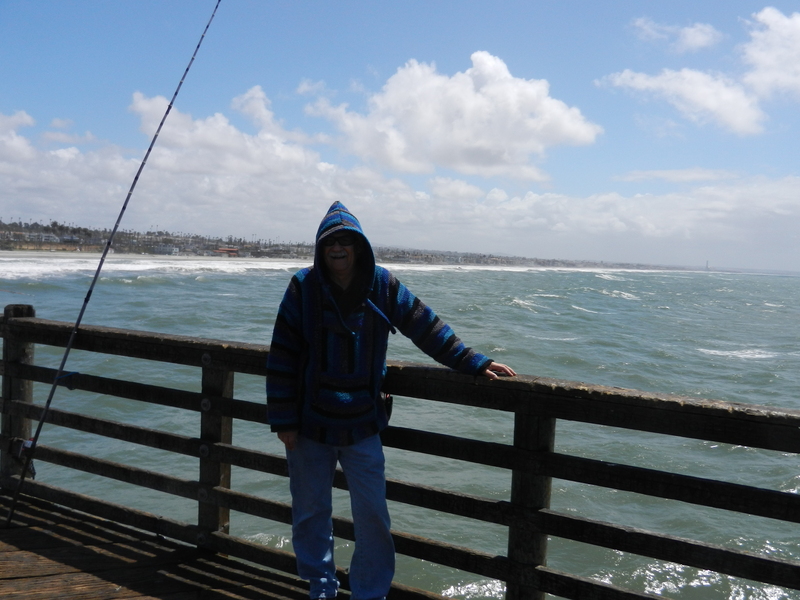 I drove down to Oceanside, CA where it would be more convenient to visit with my son. He lives in Temecula, CA which is only about an hour away. While in Oceanside I stayed at the Elks Lodge. We got together Friday night and spent some time just catching up with what the other has been doing. It sure was good just to see him rather then conversing through email. We are both avid L A Kings hockey fans so we decided to go out to a sports bar where we could eat dinner, watch the game and have a few beers to boot. It was a kick and the place we picked out was just a little local joint and it was a very cool. By the way the Kings won 4-2. GO KINGS!!! It rained cats and dogs Friday night and the wind was blowing like crazy. Fortunately the rain stopped on Saturday but not the wind. 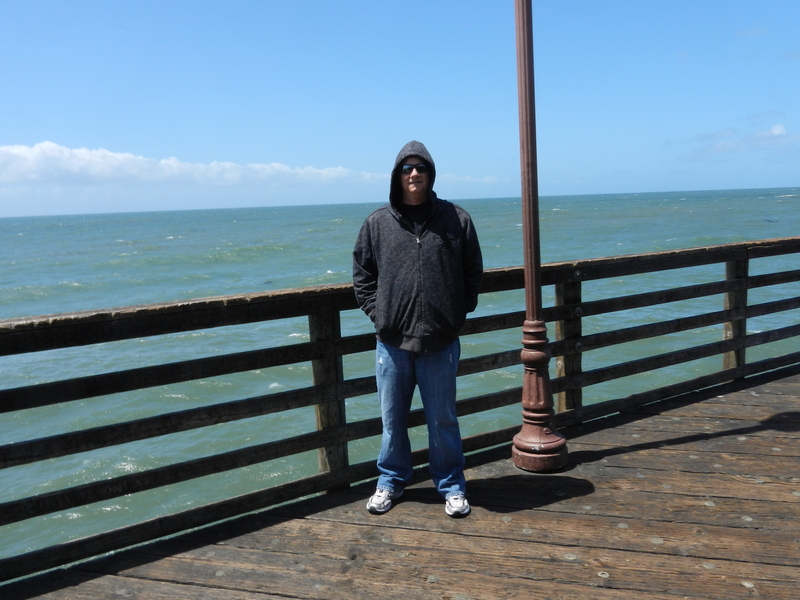 We decided to hike down to the pier and check out the local fare. 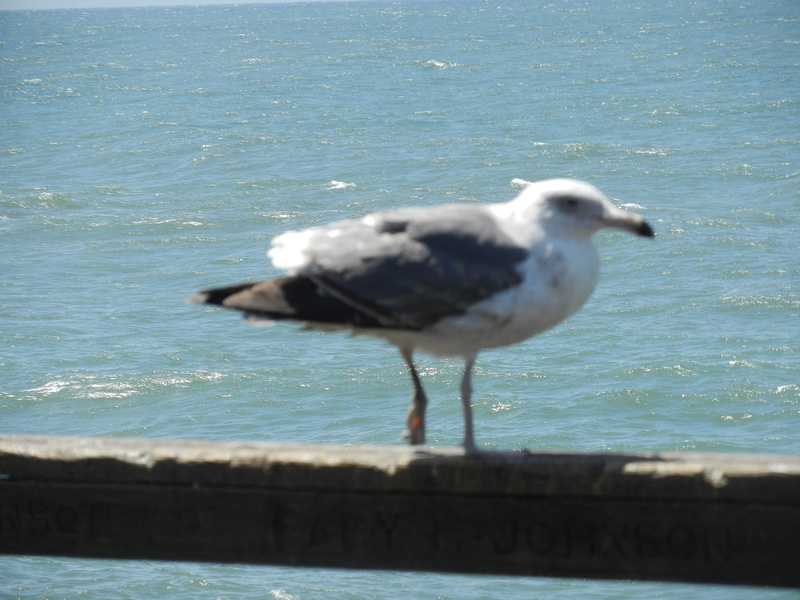 This guy was standing on one leg at the end of the pier. It was a wonder that he did not get blown off. This is a pic of my son who looked very wind-blown. It was so windy that there were no surfers out. This is a pic of myself. You can’t even tell it is me. 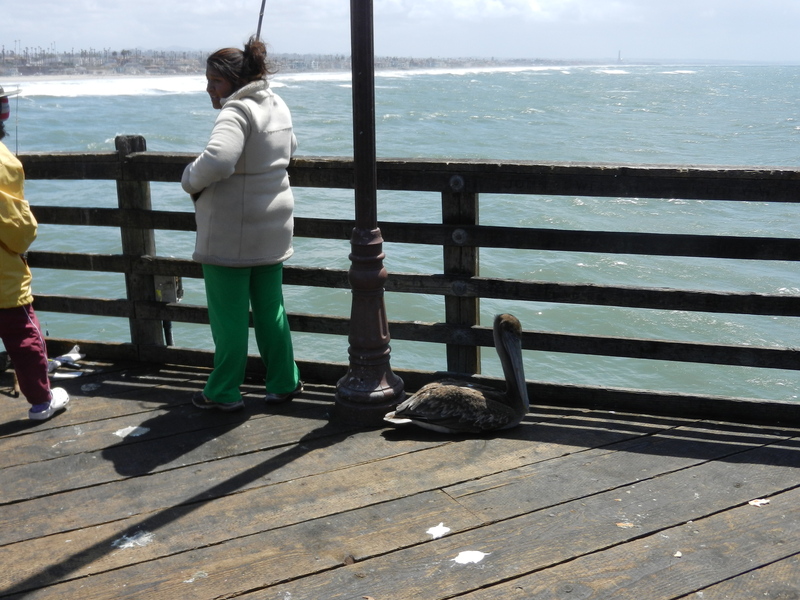 This pelican didn’t even want to stand up. Too damn cold! Here we have a look at the beach. Nobody at all in the water. 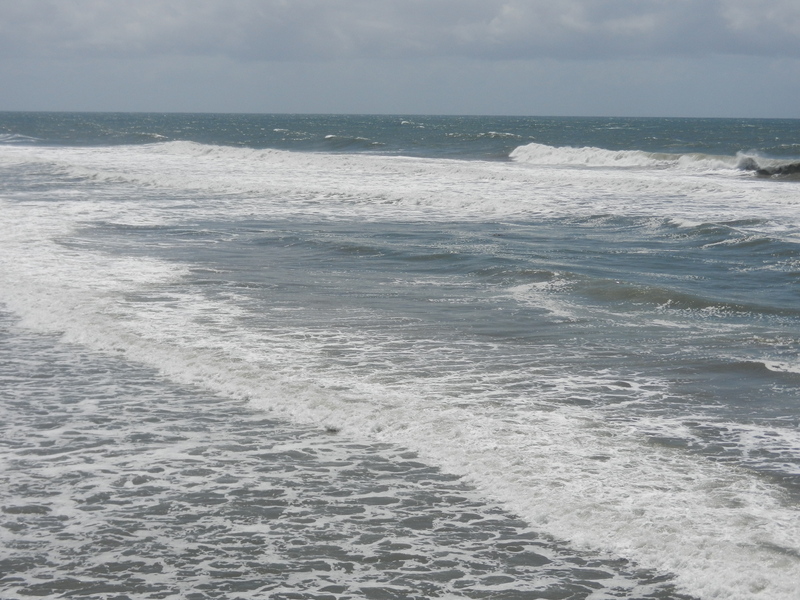 Another shot of the surf. The life guards didn’t have anyone to watch. I took this pic of them taking a lunch break. Late Saturday afternoon he left to visit some old high school friends. We had a great time and it will probably be a while before I get to see him again. Tuesday I will be heading north to take care of a few items that need attention on my rig. In case you haven’t noticed I have added a search column on this blog. Now you can search for anything on my blog . 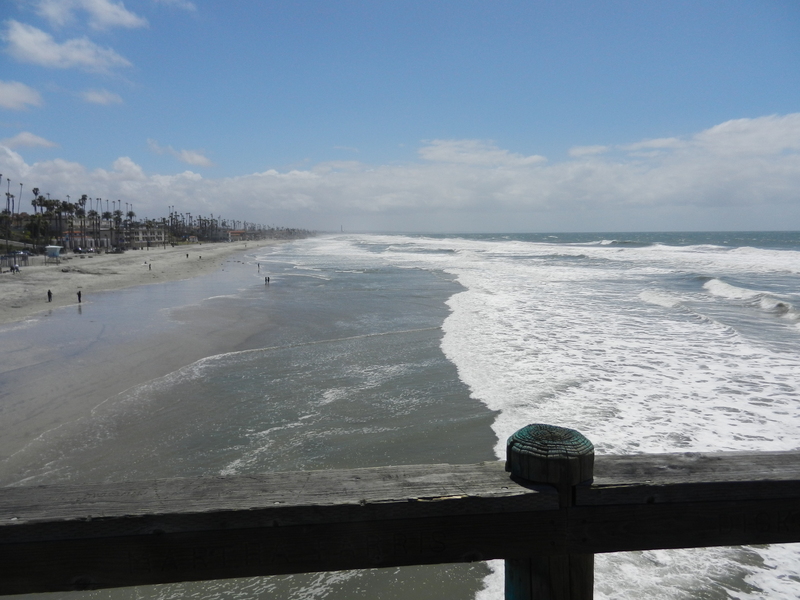 This entry was posted in California, Elks, Family, Oceanside, Oceanside by Jim Melvin. Bookmark the permalink. You know it’s cold when even the pelicans hunker down!! Nice that you had a fun visit with your son. Jim your son looks a lot like you. But both of you look really cold. Continue to enjoy the journey.